Lawmakers gave final approval April 6 to a bill that was amended to include several bills related to natural resources, including a provision that allows public power utilities to withhold information that could give competitors an advantage. 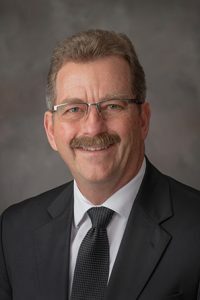 LB1008, introduced by Brainard Sen. Bruce Bostelman, increases the amounts of liquidated damages for a person who illegally sells, purchases, takes or possesses certain wildlife. wild turkeys from $100 to $500. The bill includes provisions of four other bills heard by the Natural Resources Committee this session. LB713, introduced by Sen. Steve Erdman of Bayard, increases compensation of those serving on the Nebraska Oil and Gas Conservation Commission, which regulates the oil and natural gas exploration and production industry in the state. It raises the per diem for commissioners from $50 to $400 and increases the annual compensation cap from $2,000 to $4,000. LB820, introduced by Venango Sen. Dan Hughes, authorizes the Nebraska Power Review Board to assess a $500 fine on a private electric supplier that begins construction on a renewable energy generation facility less than 30 days before notifying the board of its intent. LB762, also sponsored by Hughes, extends the sunset date for the state’s scrap tire grant program from 2019 to 2024. Also included is LB822, which the committee replaced with an amendment authorizing the public power industry and the Nebraska Power Review Board to withhold competitive or proprietary information that would give an advantage to business competitors. The bill passed on a vote of 42-4.